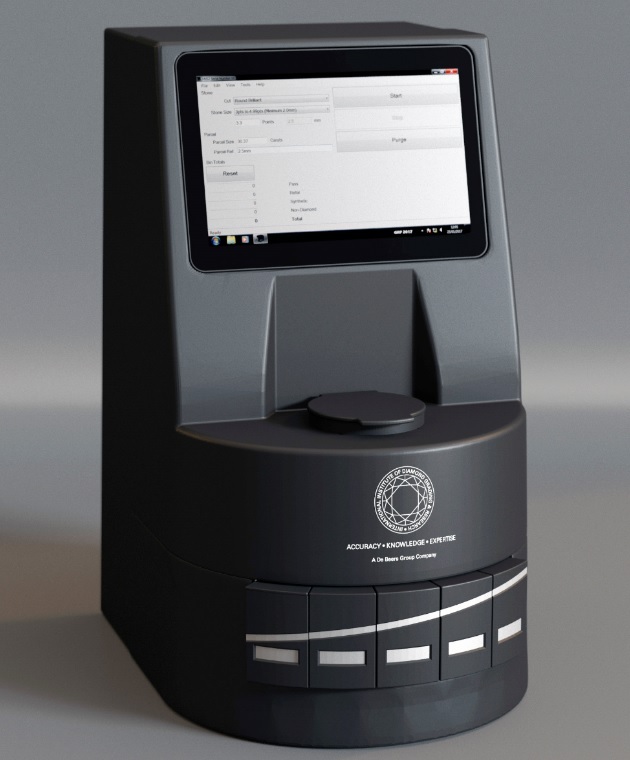 De Beers showcased an updated version of its automated melee screening machine, the AMS2, in Hong Kong on Wednesday, claiming it could check a wider range of diamonds for undisclosed synthetics, and at a faster rate. The new version was brought to market in response to customer requests, particularly since there has been an increase in cases of undisclosed synthetic diamonds mixed in parcels of natural diamonds, explained Jamie Clark, commercial director of the International Institute of Diamond Grading & Research (IIDGR) – the De Beers subsidiary that developed the machine. “Confidence is everything in the diamond sector, and the AMS2 will play a big part in maintaining trust in trade transactions,” added IIDGR president Jonathan Kendall during the unveiling at the Hong Kong Diamond, Gem & Pearl show. The AMS2 allows screening of stones as small as 0.003 carats, whereas the first-generation machine started with 0.01-carat diamonds. That’s crucial to the watch industry in particular, which works with diamonds smaller than 0.10 carats, Kendall explained. AMS2 also checks all shapes and cuts, starting from 0.01 carats for fancy shapes. According to Kendall, the updated machine is 10 times faster than its predecessor, can check up to 3,600 stones per hour, and refers fewer goods for further testing.